Here it is friends. You're getting chocolate for Valentine's day. All the fun. None of the fat. Oh, how to talk about this!? I am so pleased with this collection. No, I really don't say that about everything that I design. Promise. But here I did what I set out to do, which is a challenge. The design process is a wonderful, frustrating, emotional, invigorating and gracious thing. I am working with the best there is and am grateful. Love you guys! 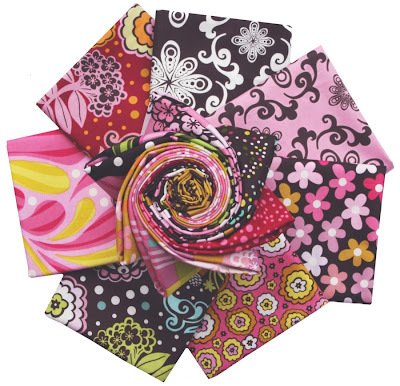 The fabrics are grouped into two colorways and in general by warms and cools. I am giddy every time one fabric sits against another, and a combination happens that I hadn't thought of yet. Oh the joy that will be had! I've included some words here with the groups that I found scribbled amongst my early sketches for Chocolate Lollipop. I often play the word game with myself to help me conjure up some imaginary world. It spurs my palette concepts, and gives me tangible things to play with in my mind in terms of form. Truth be known when I very first etched out a few drawings for some of the elements in this collection it was called Licorice Lollipop and was intended to be all black and white. With a shot here and there of color. Isabela asked me what I was making so I told her the title and she said 'eewa, I don't like lick-arush' Then she told me she'd rather have a chocolate lollipop. I complied. It was that simple gesture of her preferences that got me going on thinking of this in a childlike way. I remembered what the little flowers on my wall and my bedsheets used to look like. Pure colors. I thought about what it felt like to walk into a candy store when you were little. Do you remember? Remember those very few times you got candy from a whole store devoted to just that and not from pestering your mom as she wrote a check for groceries at |insert your grocery name memory here|? I don't know about you guys, but my heart would jump a little and I would get bamboozled with a flurry of indecisiveness. The only time I still get that gleeful and hurried feeling anymore is when I go to the fabric store. For real. I don't know what direction to go in first, and I don't want to look at my watch and I want to have a bite of everything. Make that a fatquarter of everything. Yes, and a sprinkle of ribbons and buttons too please. Thank you. I will likley share my ongoing thoughts on these little fancies and all the ideas I have for each an every fabric as the weeks roll on. 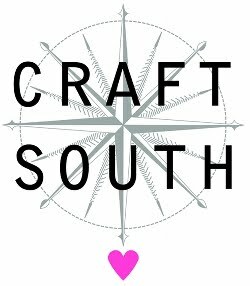 I'll be busy sewing up my quilt that will be a free downloadable pattern from Free Spirit. I do want to say thanks for your sweet anticipation of this line for me. What a lucky lucky girl I am. I hope it's a treat for you to be here as much as it is for me. Oh and fair warning, I would suspect the very earliest these goods will hit stores would be around April or May. I ofcourse will keep you updated. Now I need to go do some situps. You know that thing I do when I'm hard at work? I had quite a delicious photoshoot yesterday. Wow! This collection is awesome! Congratulations. Can't wait to see your quilt. These are so beautiful! I have to admit that I was turned on to the whole kit and kaboodle of Free Spirit fabrics after viewing your first line through your blog, and I can't wait to go searching for more when this second line hits stores later this spring. I love it all! Good job on the non-fattening chocolate! this is a great gift, you did an excellent job, can't wait to get some of these babies. Happy Valentine's, You made my Day!! I'm looking at them thinking "Ooh, I like that one." "Ooh. that one's nice". "Ooh! Like that too". Absolutely awesome. I was checking your blog about hourly yesterday to get my first peek. Can't wait to get some in my stash. Woo hooooo! Those are some pretty fabrics! You should be very proud of yourself. Can't wait to get my mitts on them, but I guess I will have to. Boo hoo. But really, Congrats! It's so pretty, Anna Maria! Can't wait to see it in person. i want one yard of each! beautiful. candy stores always make me think of the ones in italy--unbelievable! i wanted to just stay in there and look. april, may ? but I can't wait!!!!!! Gorgeous creations Anna! Satisfies all of the senses! How I wish I had a little teeny tiny bit of your talent! I see some yummy chocolate bags inmy future-can't wait until it can be ordered. Love it, love it,love it. Absolutely beautiful! I can't wait to get my hands on some!! WoW!!!! I just stumbled over this blog! And I'm so impressed!!!! Absolutely adorable. I'm in hurry now, but I soon will come back to look for some more ideas at your blog! Thanks for now. (I hope my english is OK, I don't write or speak english often.) Greetings, Kathrin, Norway. They're fabulous -- They can't get to my LQS fast enough. Congratulations! Wow...so yummy! Waiting anxiously until they're available for us too! I love it! It's gorgeous! Can't wait! Mmmm... chocolate my favorite! And you paired it with strawberry (pink). Also my favorite. I can't wait to get my hands on some! LOVE your new line Anna Maria! I gave my husband his favorite Chocolate Licorice this morning! And then I open and see your new fabric! WOW AM, this line is more delicious than I hoped for! Yum-O! Every single bit of it!!!! Wow...those are so beautiful! You are a very talented designer. I have a pattern that I am trying to win on ebay, and you designed the perfect fabric for it. It is going to be hard to wait so many months to purchase the fabric to go wtih the pattern! Thanks for sharing and making us all green with envy! It's soooooo lovely!! Oh, I just can't wait!! Beautiful, beautiful work! Oh, I can hardly wait. The color combinations are truly inspiring. I can't wait to get my hands on some of that fabric. So yummy! I love them all, can't wait to pick some up! 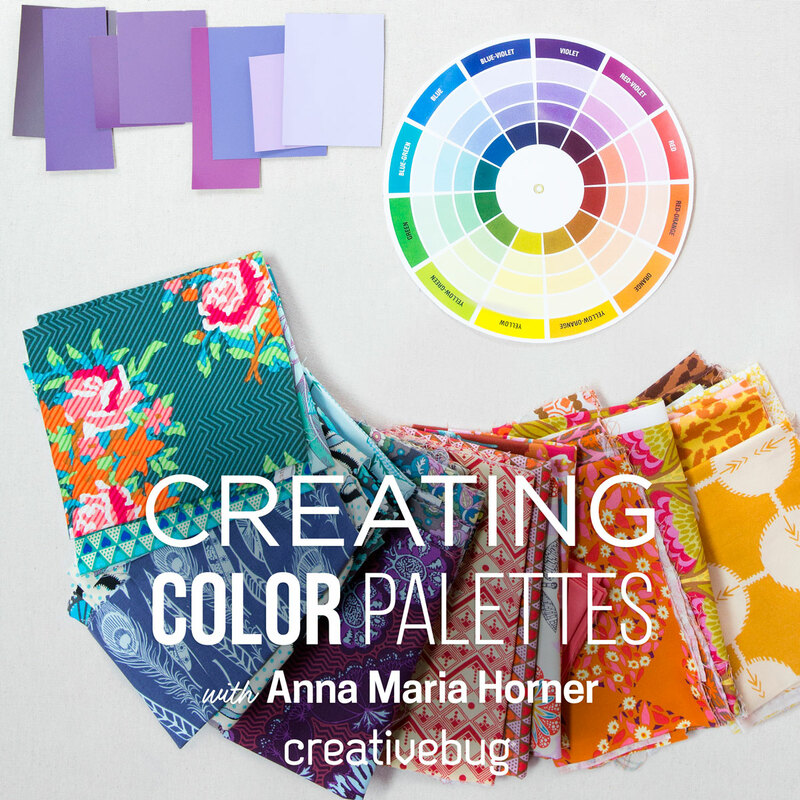 Congrats on another fabulously delicious collection, Anna Maria! GENIUS! I am SO excited to get my hands on these - do we really have to wait so long?! And the PLAID. The plaid! I love it. Soooo beautiful - I want it all. I see some serious bank account problems in April. How fabulous! I'm thinking the cool colorway fabrics would make a cute summer skirt for DD. I can't wait to use these! I love it. I need it. Now. :) Just like chocolate! absolutely fabulous! can't wait to get my hands on some, but in the meantime I'll just lust after the photo's here. Absolute genius! I cannot wait to get my hands on this fabric! These are absolutely beautiful. I want to buy them all!! I can't wait until we can purchase them. I think my sewing inspiration has been revived!! Every time I visit your blog I am more and more amazed by what I see! Chocolate Lollipop is beautiful, and I will be counting the seconds until April or May! The new colorway is fabulous! Another thing on my "must have" list - I love your inspiring photo with the yo-yo's - they look good enough to eat! Beautiful! I can't wait till Chocolate Lollipop hits the stores! Oh Anna Maria they look so fabulous and delicious!! I can't wait to get them. You have done another wonderful job. Ohhhh, so yummy. I can't wait till they come out in stores. They look so pretty. They are gorgeous! I can't wait to see them in person. Oh, they're delicious! I can't wait to see them all in person! Oh, these really do look yummy! I can't wait to get my hands on some. 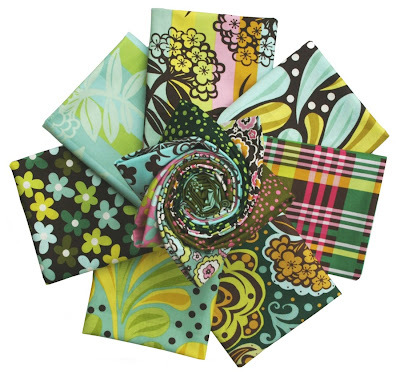 Your prints are gorgeous--simple patterns in sophisticated, quirky color combinations. I can't wait to see the quilt pattern! Fantastic!! now... the wait. At least that means we have time to save our money!! GREAT job Anna Maria!! LOVE IT! Gorgeous. 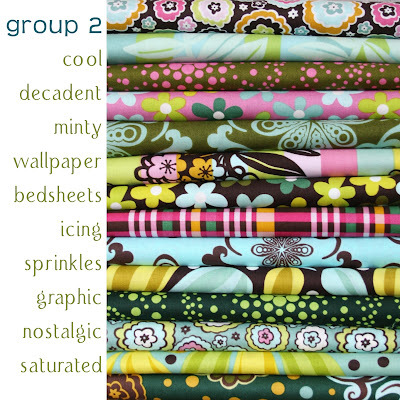 I love the colors in Group 2. Can't wait! Thank you very much for your links on flickr. What about a flickr account for you and your beautiful fabric photos. I simply adore the new green colourway. Eye candy! I have only recently gotten bit by the craft bug but it started when I walked into a fabric store with my sister. 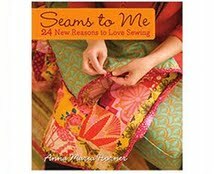 I have since then been dreaming of things to sew. 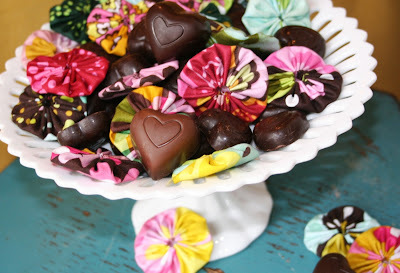 I have no fabric as of yet and no real plans either... but, after seeing this GEORGEOUS new line of your Chocolate Lollipop I am going to start saving so that I can purchase myself some!! 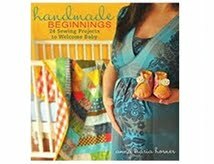 Yay1 Can't wait Atleast I have time to decide what to make :) Amazing!! *gasp* These are GORGEOUS! I love the color groups! they are soooo yummy! Can't wait to actually be able to order some and create with it! Congrats!! I am absolutely smitten! Now to get to work on my Bohemian curtains so I'm ready for the CL release!!! These are gorgeous! I can't wait to get some! HI! I came across your blog and I tried to view your Lollipop.pdf but I am getting an error. Do you have another location for download it?